A report from The New York Post says that Phil “you don’t smoke peyote” Jackson has agreed, in principle, to a front office position with the floundering New York Knicks. While New York’s management has yet to comment on Jackson’s official position, the Post reports that it will include “president” in the verbiage. Steve Mills, current general manager/president of basketball operations, will stay with the team due to his “vast network of contacts with NBA agents and GMs,” according to the publication. But what does this mean for Madison Square Garden? Jackson, pictured above next to fiancee and Lakers President/General Manager Jeanie Buss, hasn’t ever worked in an NBA front office before and took the job largely out of boredom, according to the Post’s sources, because Buss has no inclination in retiring. 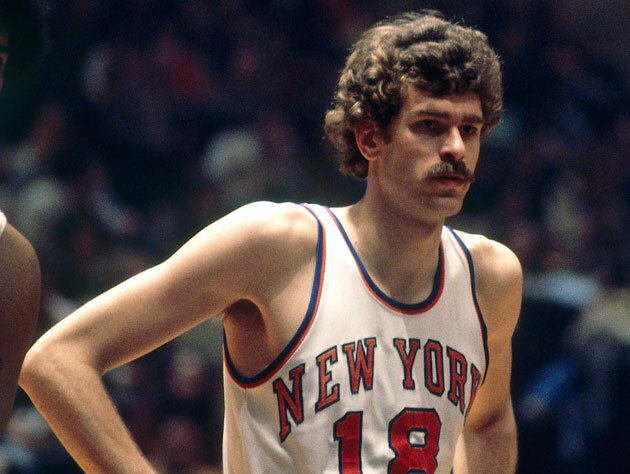 While Phil did win a championship with the Knicks in 1973 (when he rocked a no-nonsense mustache), his relationships with previous front offices have proved frosty in both Los Angeles and Chicago. With an owner as notoriously, uh, touchy as James Dolan, it only seems like a matter of time before an immobile object meets an unstoppable force. After all, Dolan has shown time and time and time again that he’s his franchise’s own worst enemy, repeatedly hiring managers that aren’t very good and quickly replacing any semblance of competency as soon as possible. It’s gotten so bad that Knicks fans are staging a protest next week. So what will Jackson bring to the franchise? Suggesting that Jackson’s “insight [and] knowledge will still be there whether he’s sitting on the bench or sitting in the front office” and playing down the idea that he has any power over front office affairs, embattled Knicks star Carmelo Anthony fielded questions about Jackson’s rumored involvement with the organization. Anthony’s excitement was evident, even as he steeled himself away from too much visible emotion. 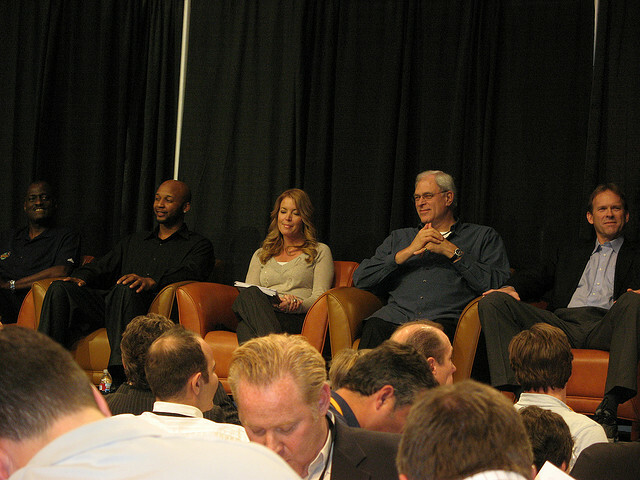 While Jeanie Buss wouldn’t publicly comment on Jackson’s decision, at least one Lakers legend felt that letting Phil go to the Knicks would be a mistake. Taking to Twitter, Magic Johnson asked, “Kobe Bryant is the face of the Lakers’ team. Who is the face of the Lakers’ organization?” in a series of tweets targeted around keeping Phil in SoCal. An outrageous amount of money thrown at a guy who’s never done this before? Colossally unrealistic expectations hoisted on the biggest name available? Ladies and gentlemen, your New York Knicks.